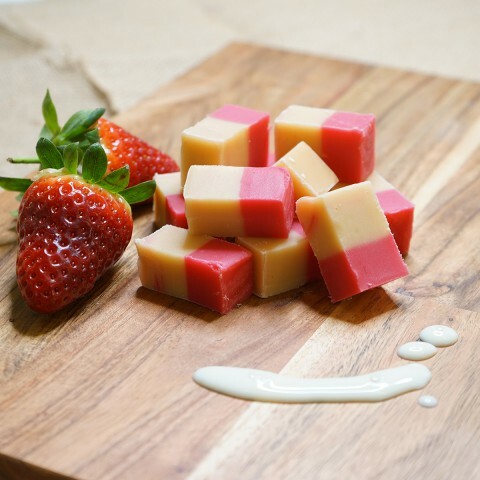 Strawberry Fudge - This fudge is infused with a fresh summer tasting succulent strawberry flavour giving it a vibrant pink colour. 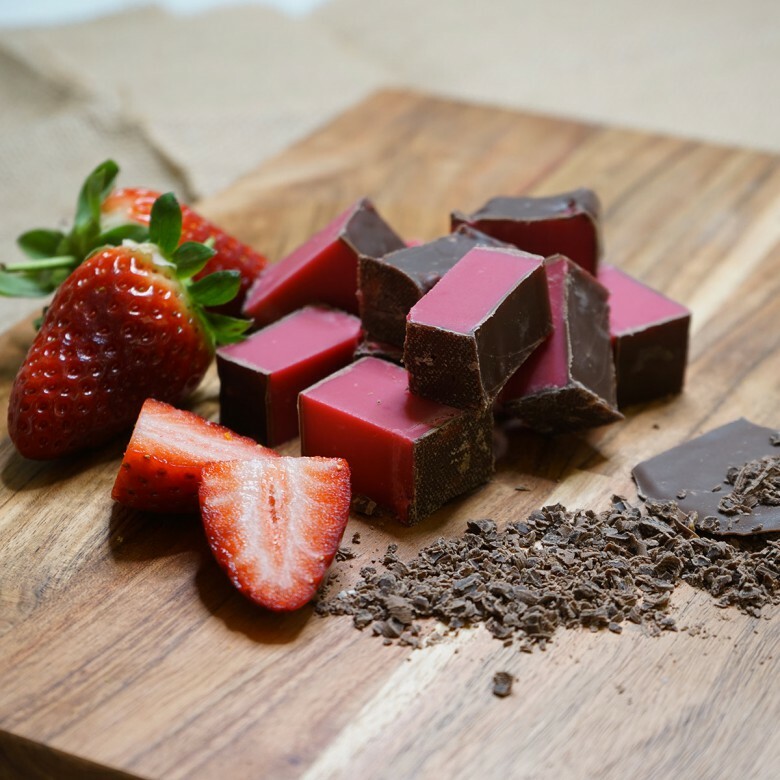 It has creamy smooth texture and is finished with a lavish coating of milk Belgian chocolate. 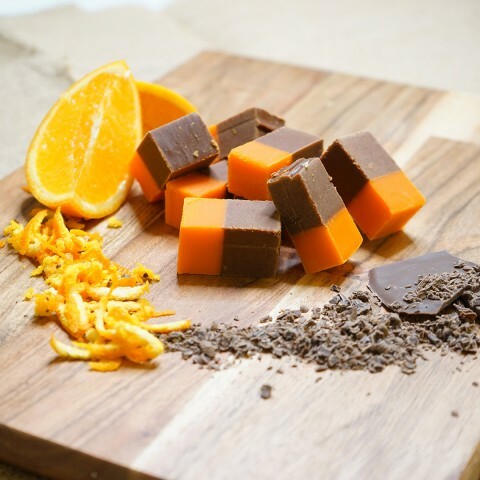 Ingredients list: sugar, MILK, glucose syrup, palm oil, butter, salt, flavourings, whey powder MILK, WHEAT flour, calcium carbonate, iron, niacin, thiamine, fat reduced cocoa powder, emulsifiers: SOYA lecithin E476, E122. 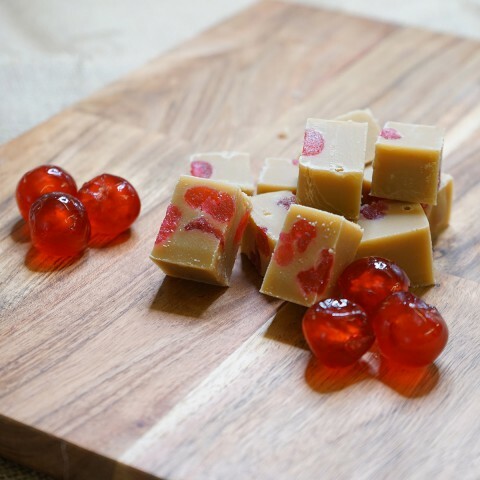 Strawberry Fudge is available in two sizes; a 150 gram bag or a 450 gram box.